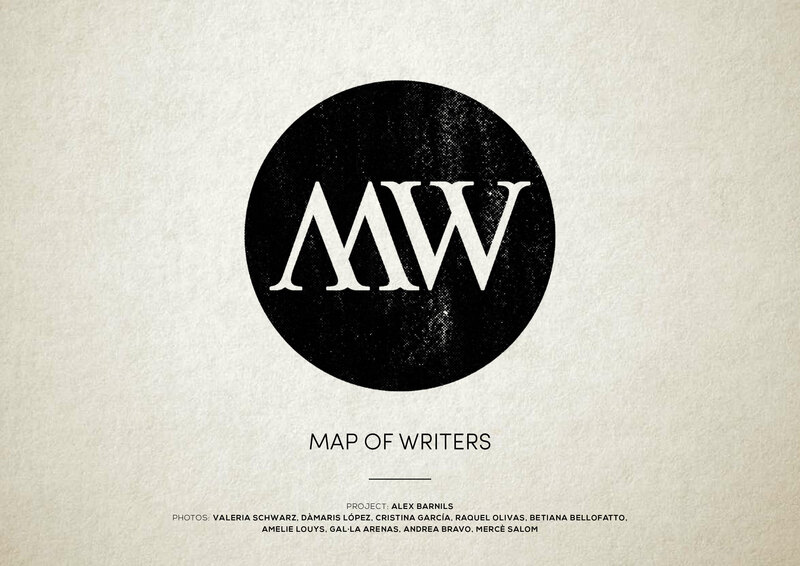 Map of writers – pasdutoutencore. Map of writers a project by Àlex Bàrnils. Cities, in a way, are their own maps and in this case they are maps of writers. It all began in Berlin when I proposed the idea to Valeria Schwarz –an artist with whom I had previously collaborated– of visiting eight streets in Berlin, each with the characteristic of being named after a writer and taking a series of photographs in order to capture the spirit of each writer in ‘their’ street. Valeria accepted the challenge and began to research the eight writers so as to be equipped with sufficient resources with which to reach the goal. The result was eight photographs, one for each street/writer. Her choice of a postcard format also resulted in giving tribute to the less tourist saturated areas of the metropolis, the zones not usually within the ambit of conventional photographs. Using this same format, the game was repeated in eight other cities around the world, always utilizing eight streets/writers and never repeating any of the authors. The majority of these streets are away from urban areas with the aim of capturing varied scenes. As it is a game, it has its own rules. The first: the use of any physical or digital elements not found within the natural state of the street is prohibited. After investigation, the photographer must visit the indicated area and through their imagination and observation, immortalize the writer. Anything goes: the writer’s works, biography, anecdotes, descriptions, etc. Of a total of seventy two shots that make up the project, this blog will publish a new photograph per month of each artist/city in order to offer a glimpse of the work. This first series includes the following authors: Pessoa, Boccaccio, Verne, Kierkegaard, Dumas, Hugo, Ibsen, Dante and Grimm. *Photographers : Valeria Schwarz – Dàmaris López – Cristina Garcia – Amelie Louys – Raquel Olivas – Betiana Bellofatto – Andrea Bravo – Gal·la Arenas – Mercé Salom.